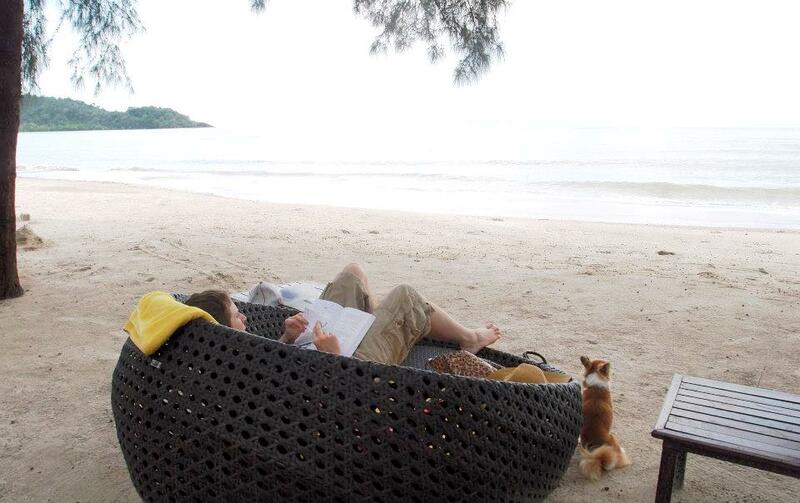 There are not many pet-friendly hotels in Thailand, but luckily some hotels are kind enough to open that option for animal lovers who treat their pets like a member of the family. By pets, I mean dogs and cats. 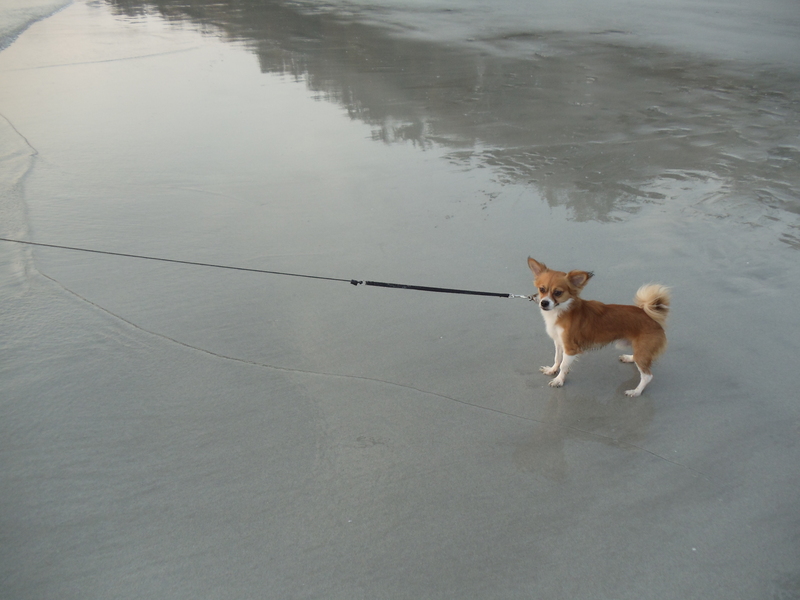 I own a chihuahua mix (Taiwanese-Japanese) so fortunately there are more options than medium-sized dogs and up. 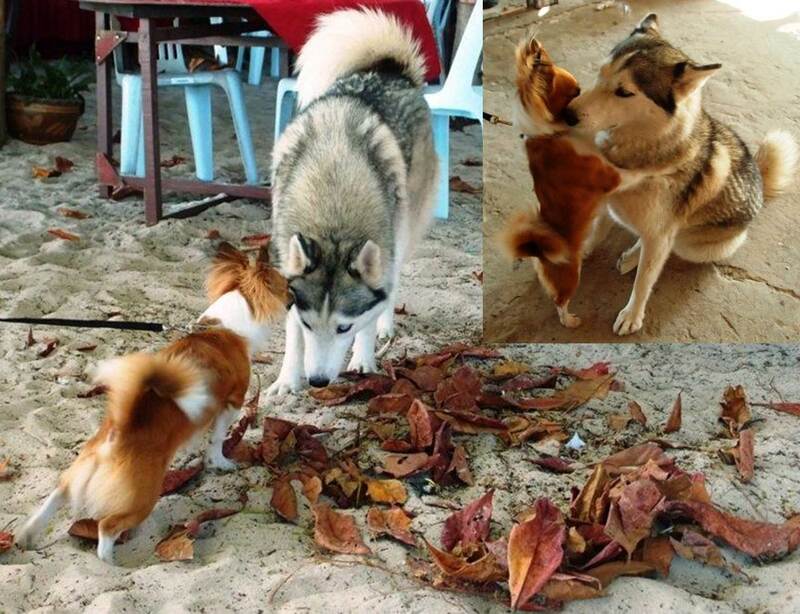 Bare in mind that most places that do allow pets in Thailand are either, frankly, not the nicest places, or they are 4/5 stars hotel chains that are a bit more than we would like to pay for. However, the places we have been to are quite nice (through an extensive search of course!) So here I have made a list, in case anyone find it useful. Let’s go! Note that we don’t have a car, so our transportation method is usually a van from Victory Monument to all these locations. 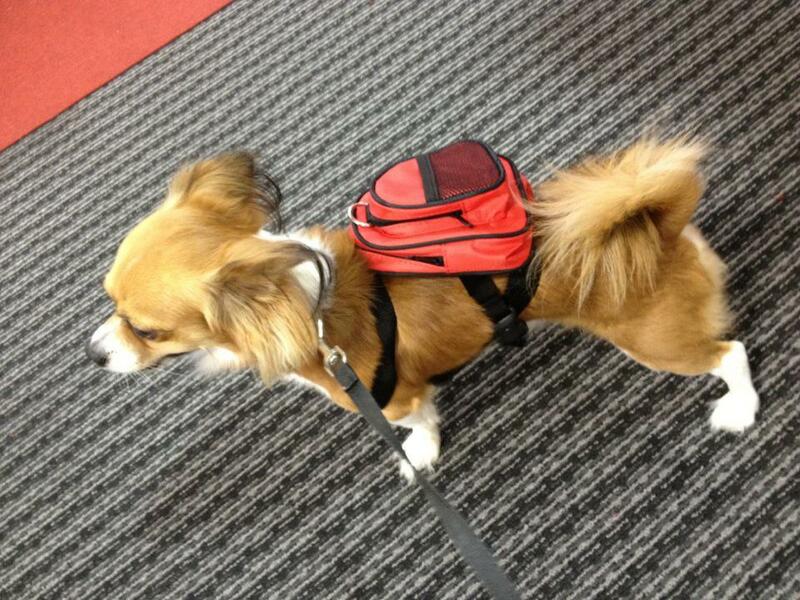 Sachi stays in his bag and he is a seasoned well-behaved traveler. The staffs were nice. The food was good. The view was amazing. We also got to kayak to nearby island and it was such a memorable experience (we left Sachi in the room.) 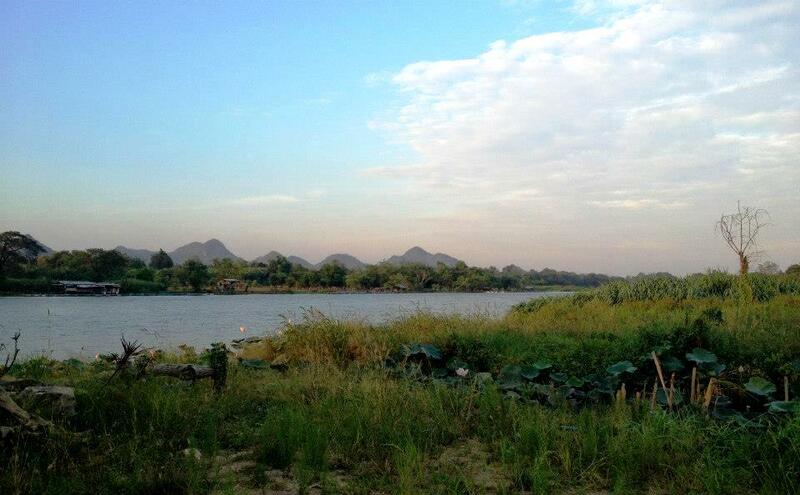 Supposedly in the morning (before 9 am) you can also walk to the nearest island. 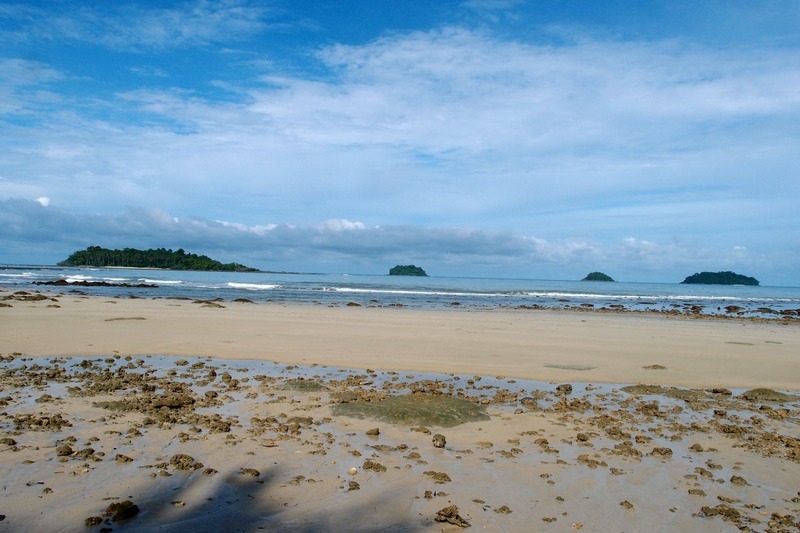 The plus point is there’s always a convenient store and plenty of food available in a walk-able distance on Koh Chang. The biggest (and nearest) island is the one we kayaked to. I don’t know how I stumbled upon this place but it surely was a unique experience. 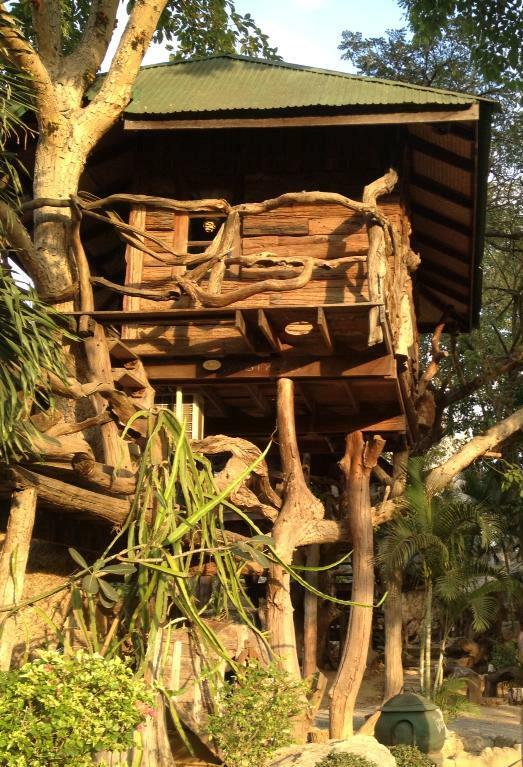 I have always wanted to stay in a tree house so it was really neat that the only room available for that long weekend happened to be one. 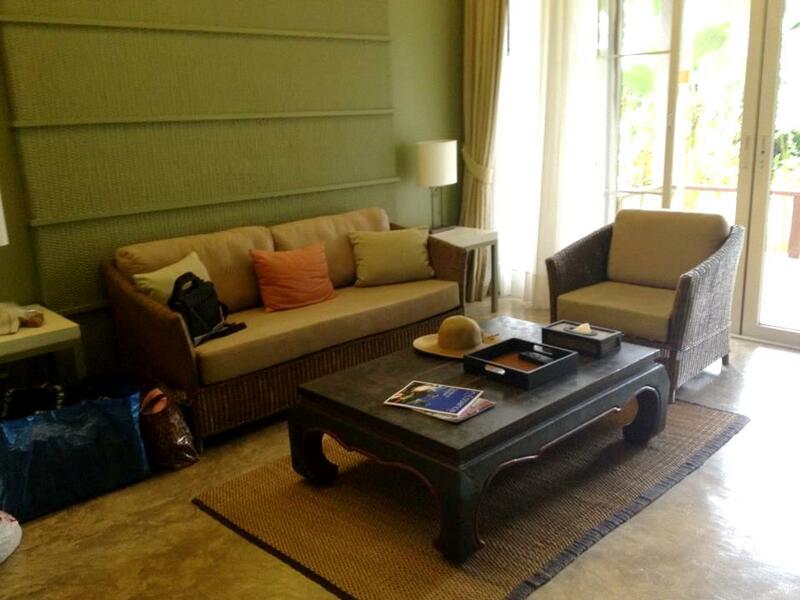 I think the room was 1,700 baht with a 300 baht dog surcharge (as of Feb 2013.) 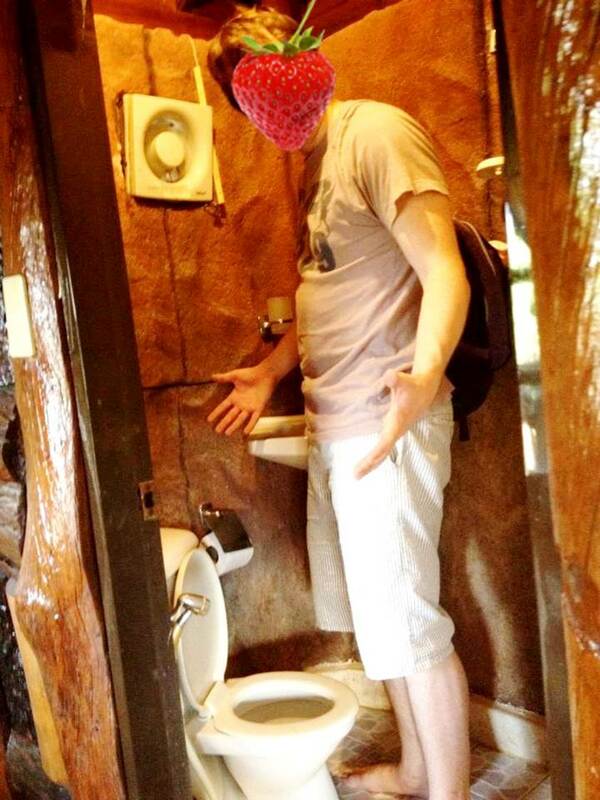 Note that the toilet on the tree house was super tiny and it was not the most convenient bathroom. It was an interesting experience nevertheless. The view was nice, the food was quite nice. If you don’t have a car it would be near impossible to go anywhere but to hire a crappy two rolled seated truck (สองแถว) and the price was quite steep. 300 baht from city bus station to the hotel, the ride was about 10 mins. 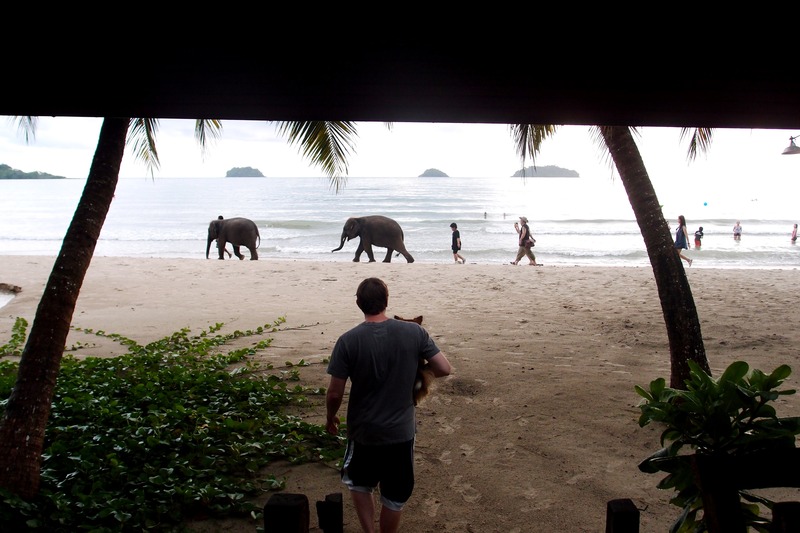 The view from the resort. 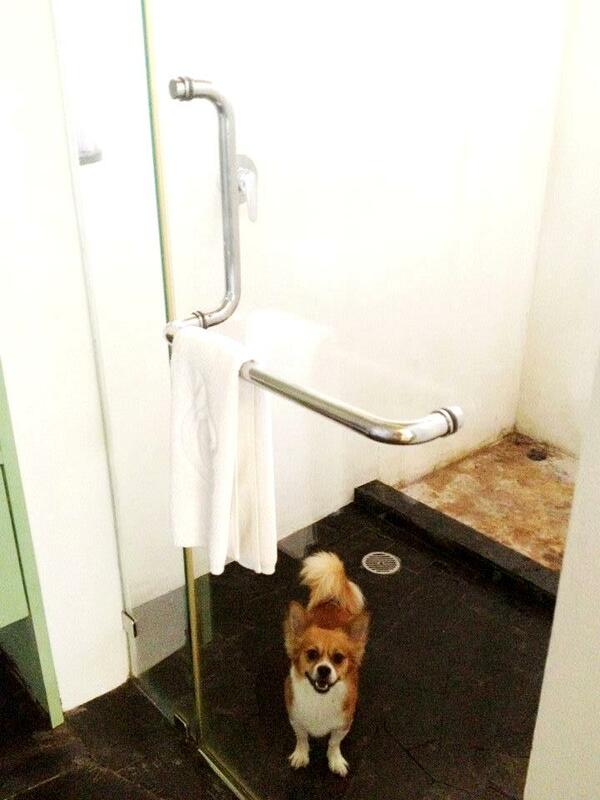 Centara Chantalay is probably the nicest pet-friendly hotel we have been to. This was a deal I bought and it was about 2,000 baht per night. The room was a one bedroom suite and it was just a refreshing change to all the humble pet-friendly hotels we have been or have seen. The space was just divine with a lovely balcony, the hotel had a nice landscape for us to walk around and relax. The pool was nice, the beach was a long private beach. We don’t have a car so we stayed at the hotel the entire time. The bad part was the food. Because it was a 4-5 stars hotel chain, the food was not cheap. I have seen reviews that this hotel has bad food, and bad food was confirmed. I would say just stick with the regular Thai dishes and don’t get fancy, because the price gets fancy but the food doesn’t. The bathroom was half outdoor so it was quite lovely when it rained. 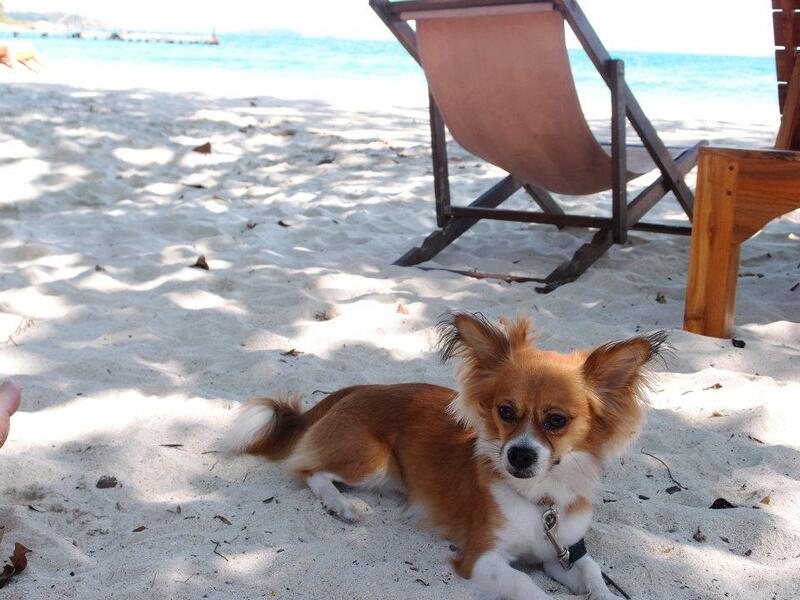 Sachi in total relaxation on the cool sand by the beautiful blue ocean. The water there was BEAUtiful, crystal clear blue-ish water that I love, surprisingly really nice when it was only 2 hours-ish from Bangkok (perhaps it was in December, peak season.) We have been to another beach on Samed that was more hi-end (Ao Prao) and the water there was just not comparable to Ao Lung Wang. 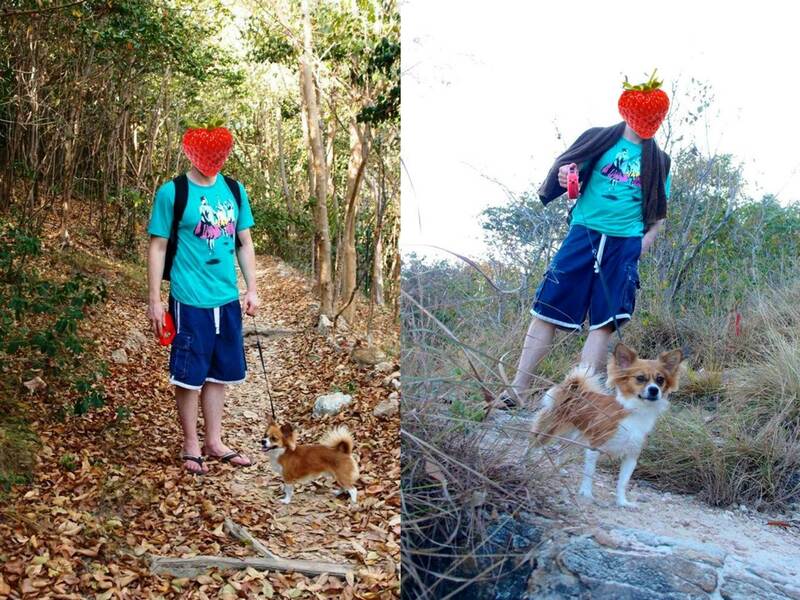 The hike to nearby beaches with Sachi were awesome, and going there in December the weather was PERFECT. Now, the accommodation was a piece of crap to say the least. 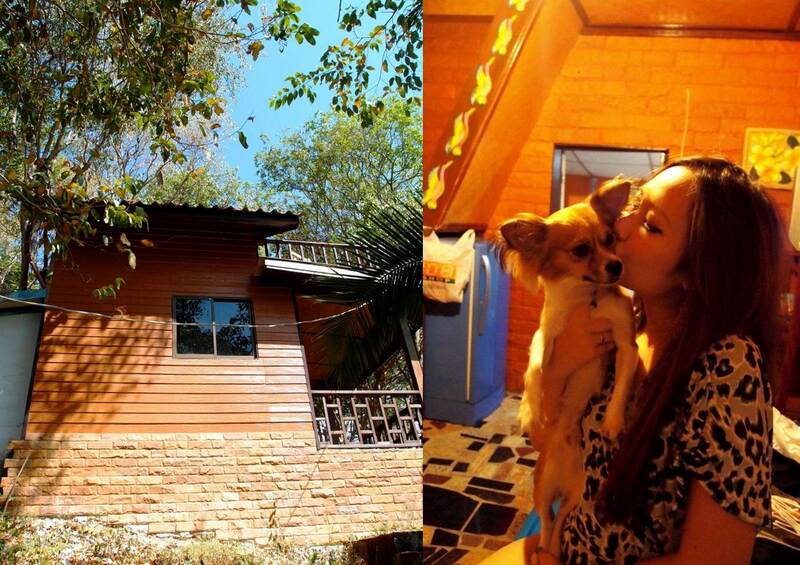 Our hut was originally 3,000 baht, we got it down to 2,500 baht (as of Dec 2011,) and that’s not cheap. 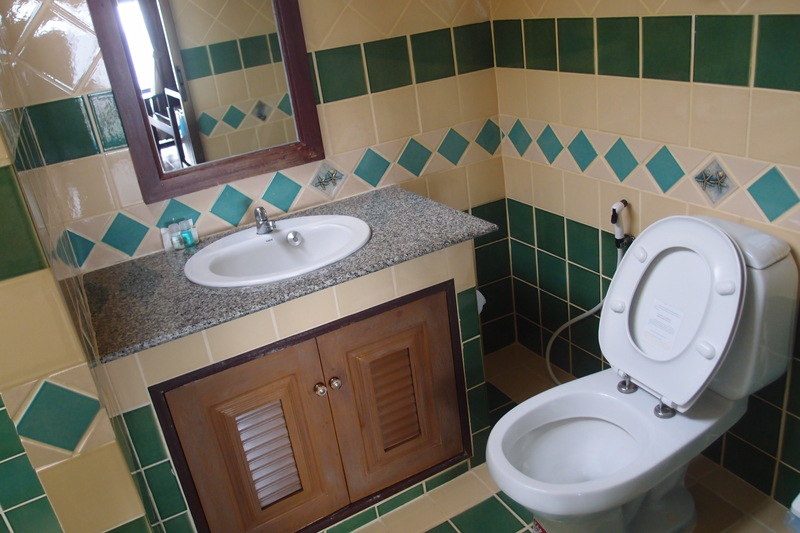 It was kind of a punishment to spend 2 nights there, back-breaking bad, awful toilet, not that clean, you get the picture. However, the ocean was so beautiful that it evened things out. The food was not bad, stick to the simple dishes. The balcony upstairs was nice, but that’s about it. Really basic depressing stay, all for you Sachi. 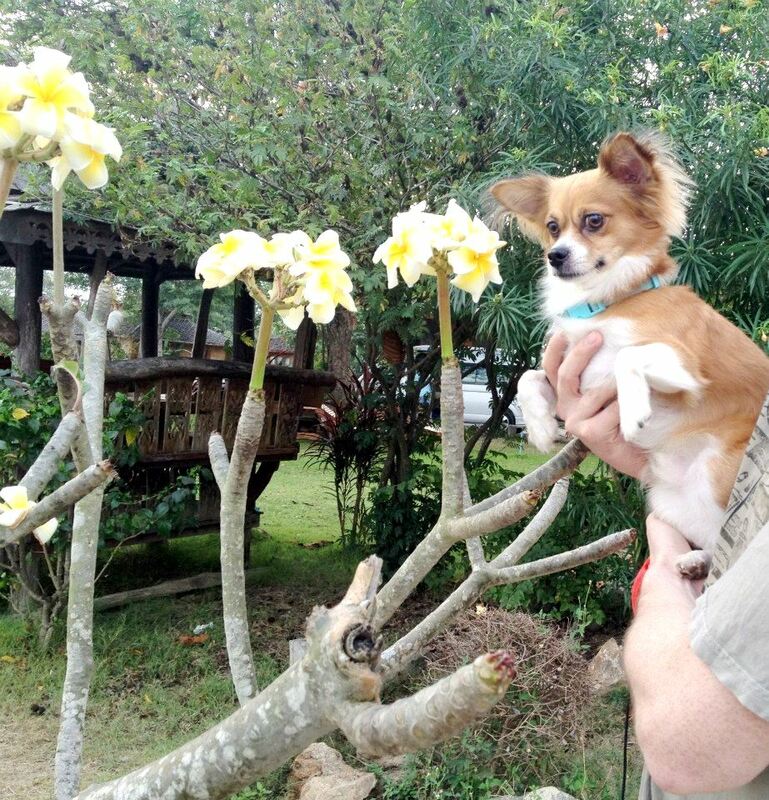 The famous island dog, her name was “Money,” super kind & nice. She always came by to hang out with us. Awesome hike! The boys constantly had to wait for slow-moving, adventure-challenged me. 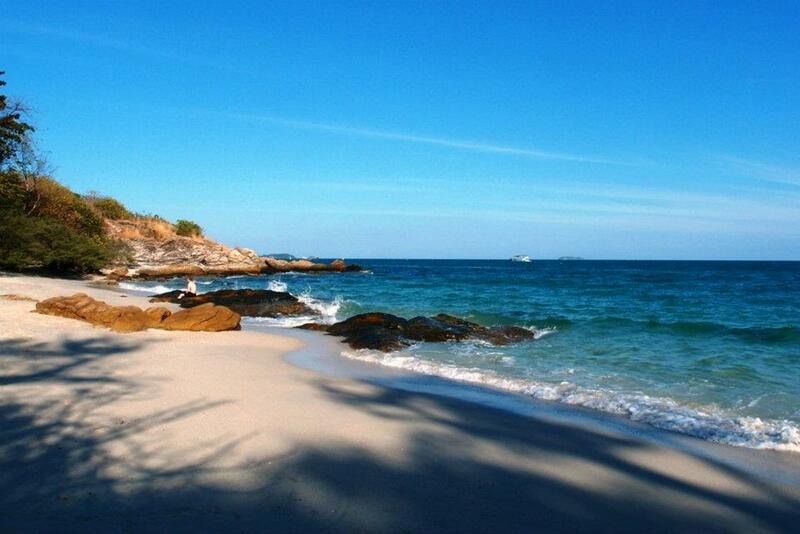 Nearby beach, a 10 min hike from our hut, stunning! The hotel view from the river. 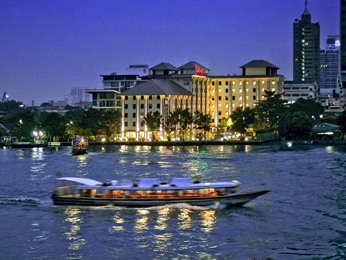 This was a weekend getaway in Bangkok, we didn’t have a nice working camera then so I searched for photos on the internet. 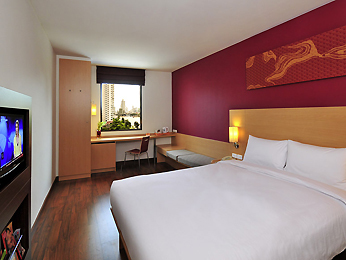 The hotel chain is what it is, small, simple, comfortable, affordable. 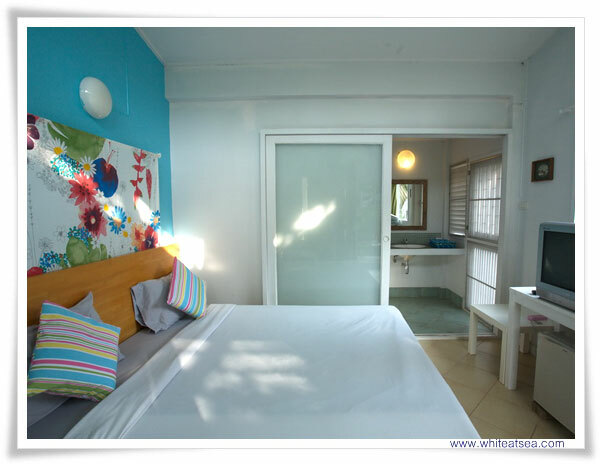 The room and hotel was clean and efficient, a standard room was 1,650 baht (July 2011.) 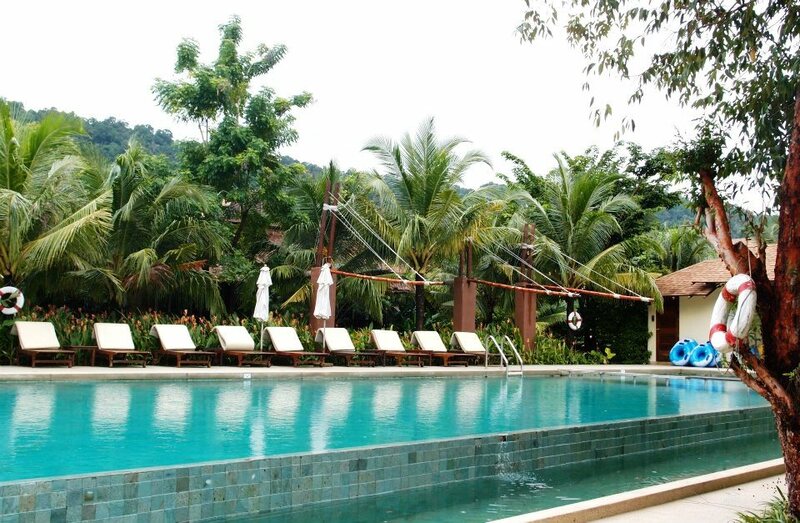 The pool was very lovely, and the hotel located by the river provided a relaxing and calming ambiance. There was a small grassy area to walk Sachi around and that was nice. 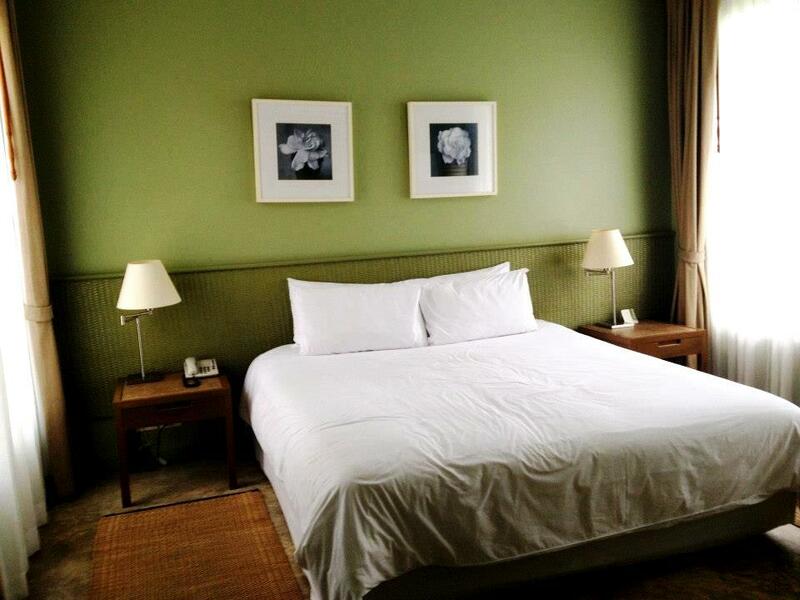 The simple, clean & comfortable room. The beautiful pool you can seriously relax or swim in. Grass area to walk the dog by the river. 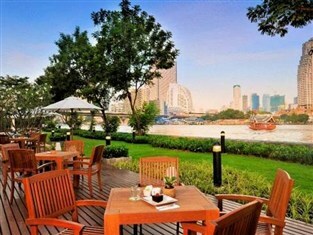 Lovely eating area on the riverside. 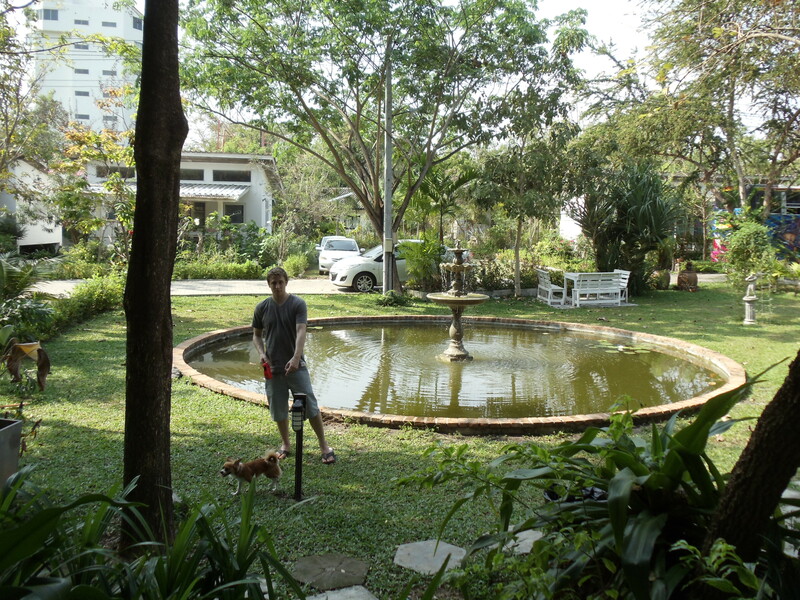 The pet-friendly part of the hotel was the houses spread out in the garden area. They actually had houses for groups and families. Our place was a twin house. 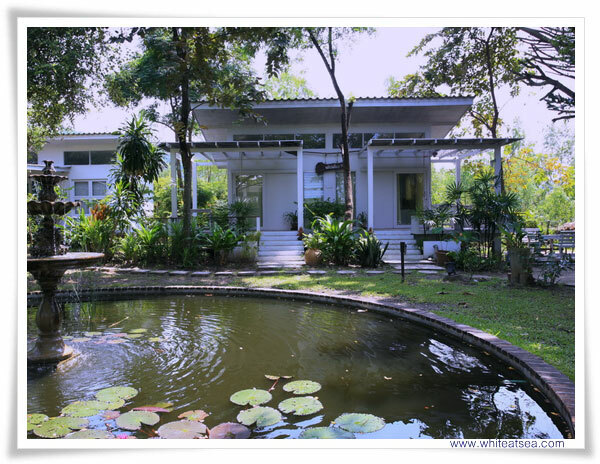 The place was nice and cozy for a 1,200 baht per night price tag (Feb 2011.) 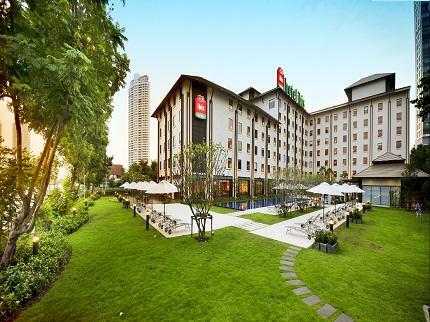 The hotel is across the street from Mae Rumpeung Beach, the beach is public and not the nicest,but you can have a long walk on the beach and enjoy many street side eateries. There is a restaurant in front of the hotel and it tastes pretty good, good portion and decent price. The hotel area in front is not pet-allowed and I think the rooms are much nicer 🙂 The area doesn’t have a nice view, the environment is very homey, however for the price I think it’s not a bad deal at all. Garden area to walk our little dog around. Note: You should always call and check with the hotel prior to booking. Policies change all the time, especially with the non-chain hotels. 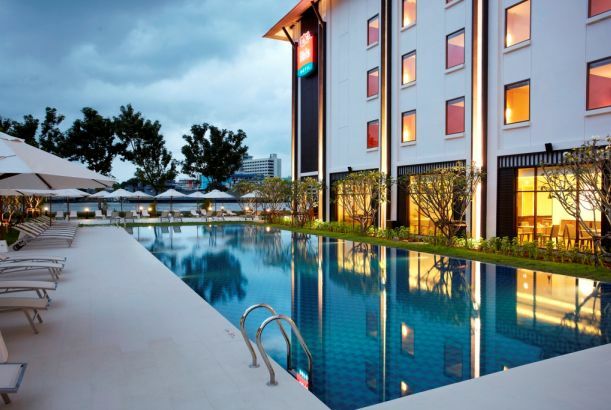 – X2 Kuiburi, 1 hr further from Huahin, very modern and luxury hotel by the beach. 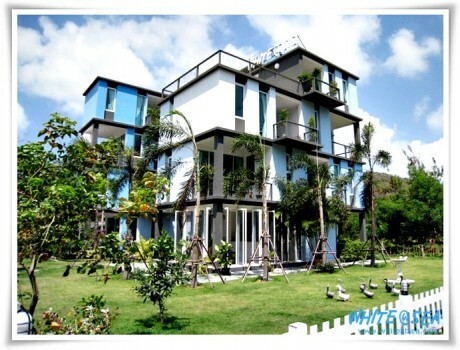 – X2 Kuiburi, 1 hr further from Huahin, very modern and luxuary hotel by the beach.